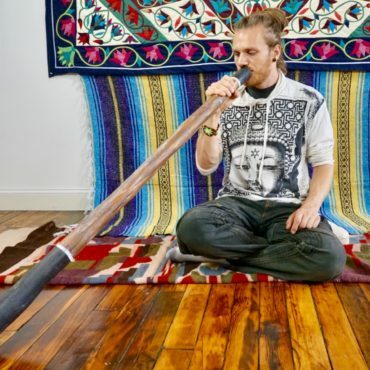 The wooden spiral didgeridoo (a.k.a. 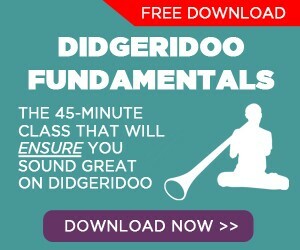 snake didgeridoo) is a beautifully painted, compact and lightweight instrument. 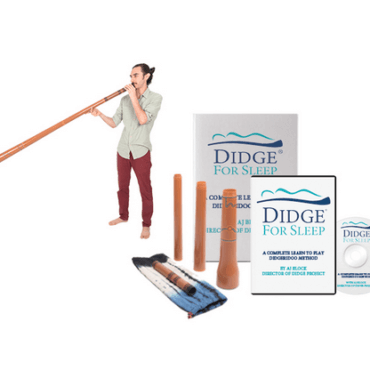 It’s basically a long tube that is wound up, with a total tube length equal to that of a straight didgeridoo. 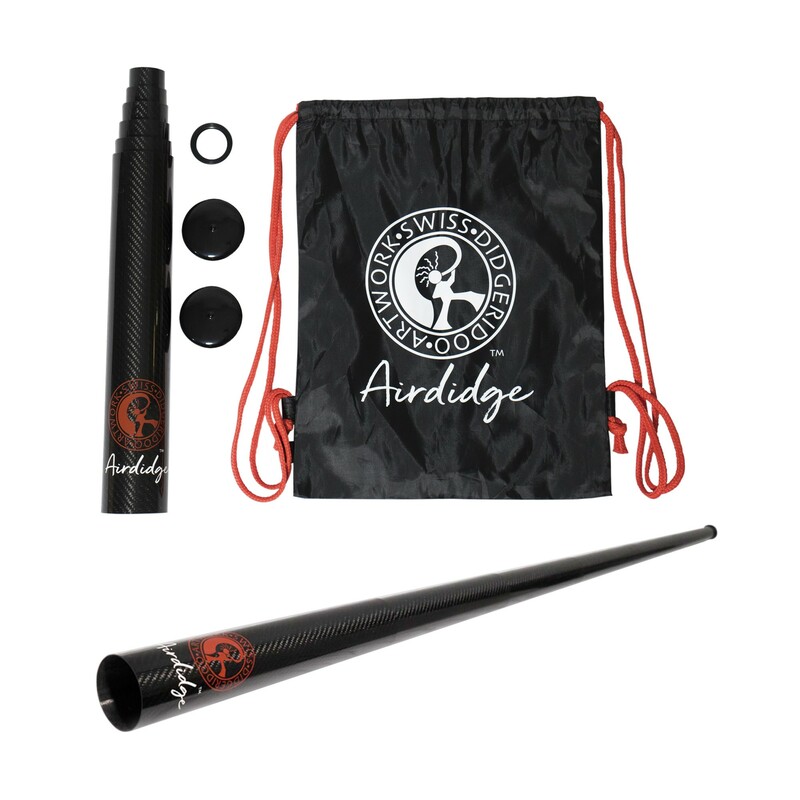 You can put the wooden spiral didgeridoo in a backpack or suitcase without much of a hassle due to its small size. 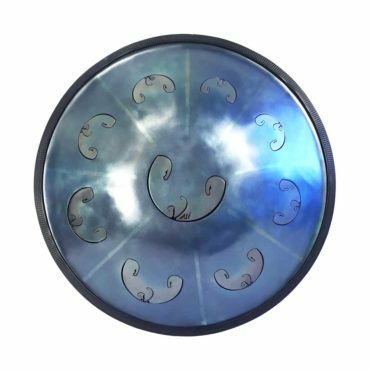 The design of this instrument is interesting because the bell (where the sound comes out) is in the center of the instrument. 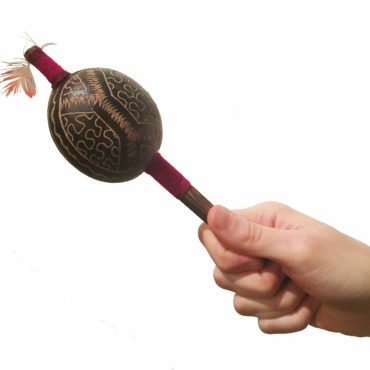 The inner circle is easy to grip so you can play the instrument with just one hand. 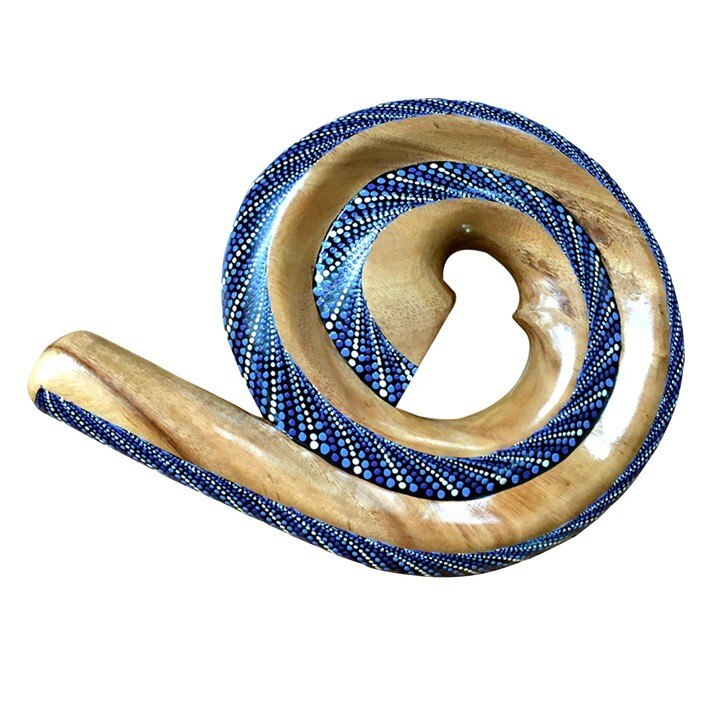 There are many different postures you can use with this instrument, as the coiled part can be held up, down or to the side. 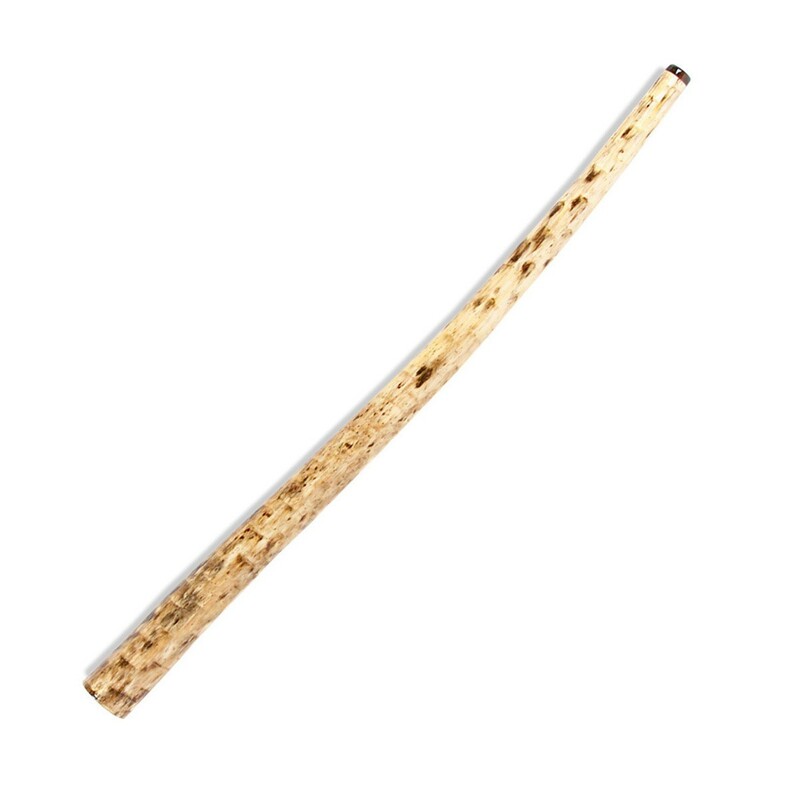 The wooden spiral didgeridoo is made with a solid piece of wood that is split down the center lengthwise. An inner channel is carved out of both pieces, which are then glued back together. After the glue dries, the instrument is decorated in the aboriginal dot painting style and sealed with a glossy finish. 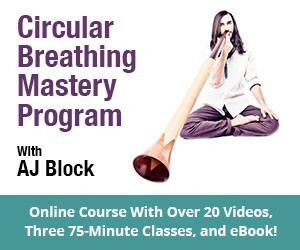 Backorders will take 2-3 weeks for delivery.